Every time I browse tech websites I find something or the other written about iPhone. Well, after all iPhone is worth it. But there are a few criticisms and cons as well. For instance, we have seen the deadly Indian iPhone pricing few days back. Ok, so let’s keep these things apart. I have something cool for you if you already own an iPhone. It’s an iPhone Theme Maker. 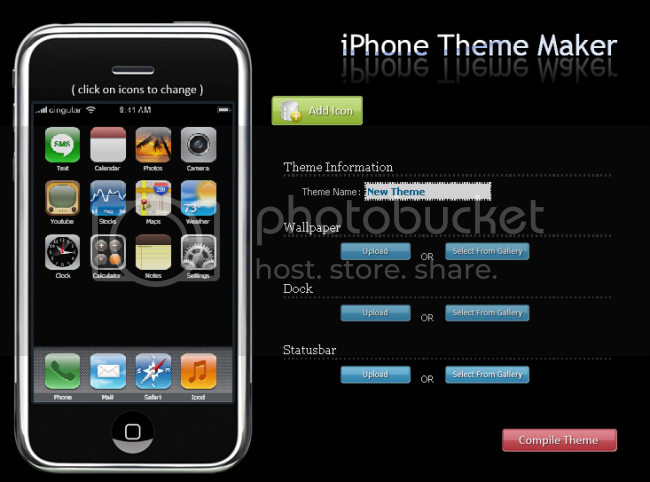 Using the iPhone Theme Maker you can design your own iphone theme according to your taste. You can choose your favorite icons, desktop wallpaper, status bar, dock, etc. If you have got a good image in your computer which you would like to use in the theme, then you can simply upload and use it in the theme. Once you’re done customizing the theme, click on the Compile theme button to create your theme.